NEW YORK -- Sears Holdings -- the parent company of Sears and Kmart -- announced on Friday that it will shutter eight of its namesake Sears department stores and 35 Kmart locations, adding to the list of 236 stores Sears has announced plans to shut down in 2017. With the newest round of closings, Sears Holdings is poised to close down about 20 percent of its locations. The closed stores include one in Illinois and two in Indiana. The company said in a blog post that the store closures are part of an ongoing effort to "focus on our best stores and return to profitability." "This is part of a strategy both to address losses from unprofitable stores and to reduce the square footage of other stores because many of them are simply too big for our current needs," Chief Executive Officer Eddie Lampert said in the post. 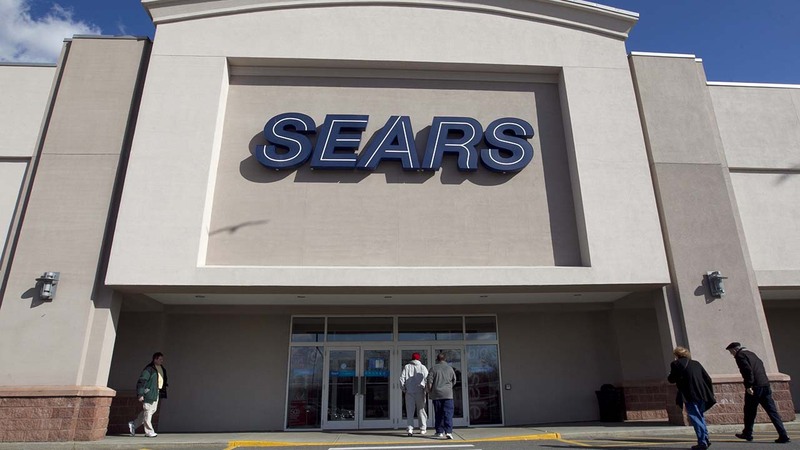 Sears said it is focusing on bolstering digital sales and is also testing out small, specialized "concept stores" that offer Sear's best-selling items. Streamlining its retail footprint is part of an effort to restore vendors' confidence in Sears, the company said. Some vendors have "reduced" their support for the company over the past year -- "thereby placing additional pressure on our business," according to the blog post. Once America's largest retailer, the company has struggled to stay afloat as customers turn away from traditional brick-and-mortar stores to shop online. Sears warned in March that the company has "substantial doubt" about its ability to remain in business. Its losses have surpassed $10 billion since 2010, the last time it turned a profit. Sears Canada, which Sears Holdings spun off in 2012, filed for bankruptcy protection last month. Sears closed 240 stores last year and 53 in 2015. It's hardly the only retailer to be experiencing such woes. Other department stores like Macy's and JCPenney have announced layoffs and store closures over the past few months. There have been about 5,300 store closing announcements so far this year, according to retail think tank Fung Global Retail & Technology.